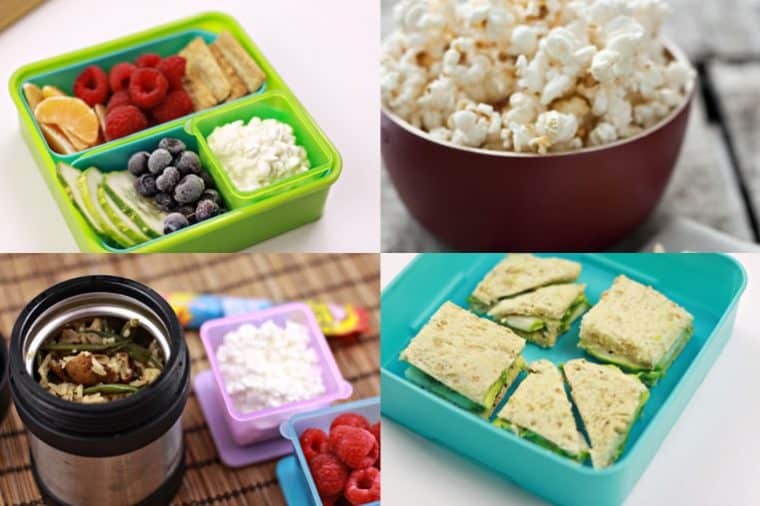 Here are ten unprocessed snacks and meal ideas that you can pack in your child’s school lunch that will keep them interested and begging for you to pack it again the next day. A few weeks ago there was an aligning of the stars. Immediately after signing the October Unprocessed challenge, my son returned home from school with papers and activities for one of his first big social studies lessons, including a field trip form. Like his sister before him, he would be studying American history, starting with a look into what life was like for a child his age in the 1800s. With one daughter already having visited Gibb’s Farm, a museum from a family who settled here in the 1800s, convincing my children that we would spend a week eating like pioneers wasn’t a hard sell. The younger two were easily convinced with promises of rolled fruit leather and unlimited apples for snacks. A plan was instantly put into place that involved getting the entire family on board with our “pioneering week” of unprocessed where we would make our own butter and then use that and meat drippings as our oil for the challenge. The following weeks we decided we would focus on a more sustainable way of whole food eating and no processed convenience foods. 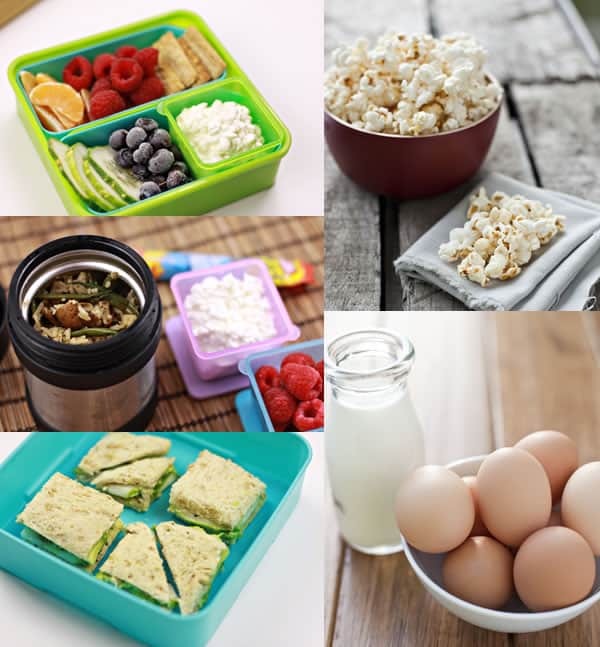 The first hurdle we needed to get over to truly complete the unprocessed challenge was looking at what was going to school in our lunch boxes. While my children are used to having lunches packed from home, there are a few items that we would be missing during the challenge that are sometimes used to help switch lunch up and make it interesting: A fruit rope here and there, a packet of organic yogurt or the conveniently packaged applesauce. While these things aren’t really necessary and can be substituted, they do serve to make lunch more interesting and to keep the attention of three kids in a sea of school lunches, chocolate sandwich cookies, and juice boxes. Obviously we’d need to rethink our snacks and lunches to make sure opening their lunch would be more of a fun exploration than five school days of the same foods packaged in the exact same way each day. This seems like the most obvious choice to include in a lunch, especially if your kids are interested in eating them. Our favorites include apples, berries, cherries, bell peppers, and carrots. Cutting fruits and vegetables into manageable, bite-sized pieces can help make eating them easier, especially when lunchtimes are limited. When your kid gets sick of having an apple a day, try instead the dried version. These are more fruit-snack-like, and they taste sweeter because the natural sugar is concentrated. Dried apples or apple chips, bananas, mangoes, raisins and cranberries are all great options. Get a recipe for maple apple chips. If your kids are missing fruit snacks or gelatin fruit cups, impress them by cooking down apples and honey to make their very own. I remember the first time these appeared in our house, my kids proclaimed my status as the best mom ever. I’m okay with that. Get a recipe for pumpkin pie fruit roll-ups. There’s something magical when it comes to dips for most kids, and equally as amazing and astounding is how making food with them can turn bland and boring into something they actually request. My formerly hummus-hating son declared homemade hummus his preferred protein of choice recently. Get a recipe for roasted broccoli hummus. Granola bars make a great snack to add to lunch boxes, chock full of rolled oats, dried fruits, coconut, flax and held together with honey. They’re easily customizable to your child’s personal palate. Try these peanut butter & honey chewy granola bars or chocolate avocado breakfast bars. A popular snack around these parts, we make our popcorn over the stove generally, but it can also be made air-popped in the microwave without any added fat. A bit of butter and salt over organic popcorn is a simple and fun snack for kids. Try paper bag microwave popcorn. I love sending eggs as a protein source. They’re easy to do ahead and then peel and pop in the lunch box the night before. I send them with a pinch of salt, or I’ll make deviled eggs with homemade mayonnaise and sandwich the two sides together to keep them from spilling or rolling around. Here’s how to make perfect hard boiled eggs every time. We love yogurt around here, and we love yogurt in lunches as well (usually frozen a bit before being sent to school.) Making homemade yogurt will require live cultures from already made yogurt, but once you have it started, you can make yogurt again and again and again. Here’s how to make homemade yogurt. Soup is a great unprocessed food. Sent in a preheated insulated container, it can be made with homemade stock, vegetables and leftover meats for a complete meal in and of itself. Get a recipe for creamy turkey and wild rice soup. Seeds and nuts are always a great option to get protein and healthy fats into your child’s diet. Plus, they’ll help keep them full longer, avoiding midday hunger pains. We buy your seeds and nuts raw and roast and flavor them ourselves. Seeing as it’s pumpkin season, pumpkin seeds are the obvious choice of the moment. Bonus points if the kids scoop them out of the pumpkin they’re about to carve. Get a recipe for toasted pumpkin seeds three ways. What unprocessed lunch ideas do you utilize to keep your kids interested and engaged while going through the challenge? Shaina Olmanson is the home cook and photographer behind Food for My Family and Olmanson Photography. Working from home as a freelance writer and raising her four young kids with her husband Ole, they strive to teach them the importance of growing, preparing and eating real food in a day and age where many people have turned to convenience foods because they are so readily available — and they hope to encourage others to do the same. Follow her on Pinterest, Facebook, Instagram, and Twitter. What great ideas! Eggs are probably the one I use the most! Also — leftovers! That was a frightening list!!! You should watch the documentary “Food Inc.” It’s a great film and encourages buying local foods. Just because the chicken comes from a large meat processing company doesn’t mean you should eat it! Good post! Sharing on the cubbrd.com blog! I think eggs and soup are the only option my kids don’t go for. I also have some eating-challenged kids who will probably come home covered in soup. I can save that for dinner, or turn it into stew. However, they do love popcorn and the other options. I can’t wait to check out your fruit roll up recipe. I made it once a long time ago, and it didn’t work. My kids love the fruit roll ups from TJ’s. Barb, that’s great! My kids love fruit roll-ups, too. I know my kids love eggs, but not all kids do. We also pack homemade pasta dishes and rice in thermal containers, and those are usually a big hit as well. Yes, I need to remember the pasta and rice dishes, too. My 7 year old loves to bring rice with his dad’s homemade gravy. We use the thermal containers, too. I’ve never had an issue with anything being too warm by the time the kids eat it at lunch. I like to put mine in the freezer for a little while before putting yogurt in it. Another way around the perishableness (is that a word?) of the fruit is freezing it. I’ve done this with grapes. Pretty nice choices for big people too – nice post. This looks great, you have lots of ideas and I am going to re-think lunches!!!! Thanks!